This guide shows you how to Install Kodi on Smart TV. 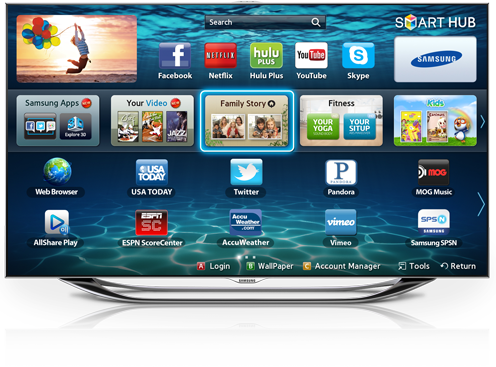 Basically, most Smart TVs are made by Samsung – and the Samsung Smart TV operating system does not have a version of Kodi made for it. So we get around this by just adding a cheap TV stick to our Smart TV, making it “extra smart” instead of just “smart”. Kodi is not currently compatible with the Tizen OS that runs most (Samsung) Smart TVs. If you have a Samsung Smart TV, your cheapest, easiest way to get Kodi on your Smart TV is to simply add a FireStick to your Smart TV (or some other inexpensive Android TV Stick) to use Kodi. To add FireStick to Smart TV, simply buy a Firestick for $40, plug it into the back of your Smart TV, and use our How to Install Kodi on Firestick video tutorials. If your Smart TV runs Android OS, on the other hand, you can install Kodi on Smart TV. In this case, simply use our tutorial to install Kodi on Android TV box for that process. For Sony Smart TVs, you will need to use the solution mentioned above. Plug the Fire Stick into the back of your SmartTV. Use the HDMI cable to connect the Firestick to the HDMI port of your Smart TV.